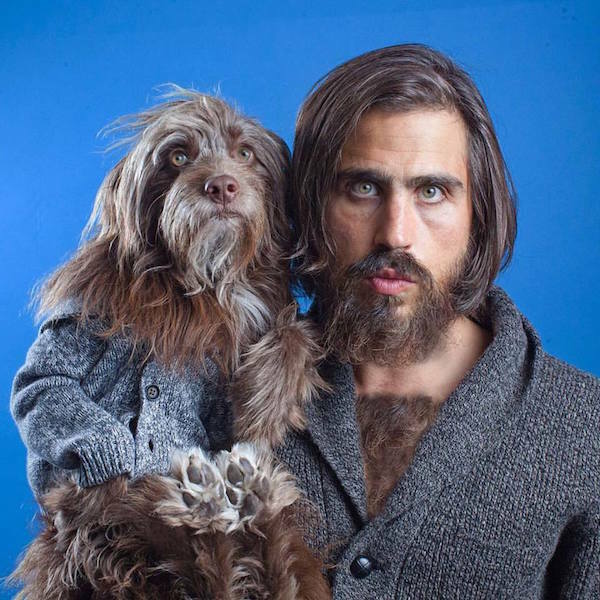 Dear canine fanciers, I’d like to inform you that we have now officially reached a state of hipster no return. 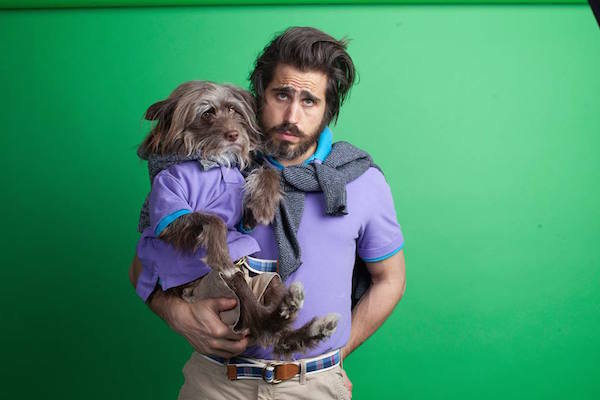 The tipping point in question is a social media account run by a gentleman called Topher Brophy, who calls himself “the most interesting dog dad in the world.” In practice, this means that a hipster-looking dude has found a dog who looks exactly like him, and they now dress up together for the camera. 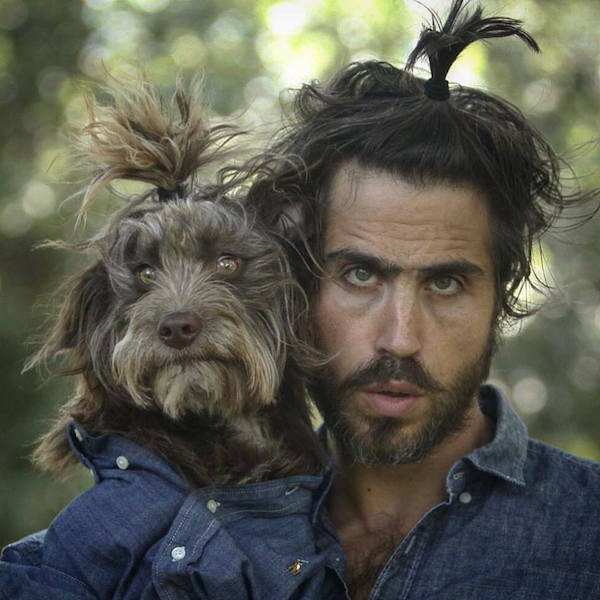 Yes, dog and hipster have now become one. Without too much further judgement, here’s what’s going on. When Topher Brophy was looking to bring a dog into his life, he chanced across an Aussiedoodle named Rosenberg. They were the spitting image of each other. With that, Topher decided that their destiny was to dress up in matching outfits for the amusement of the internet. According to captions on Topher and Rosenberg’s social media accounts, they pride themselves on being trend setters. “That’s what we always tell people when giving them advice, to go with their heart and don’t pay attention to what’s trending.” In some cases, this bold act of originality translates to little more than donning some denim and affecting an unwashed appearance to the watching world. 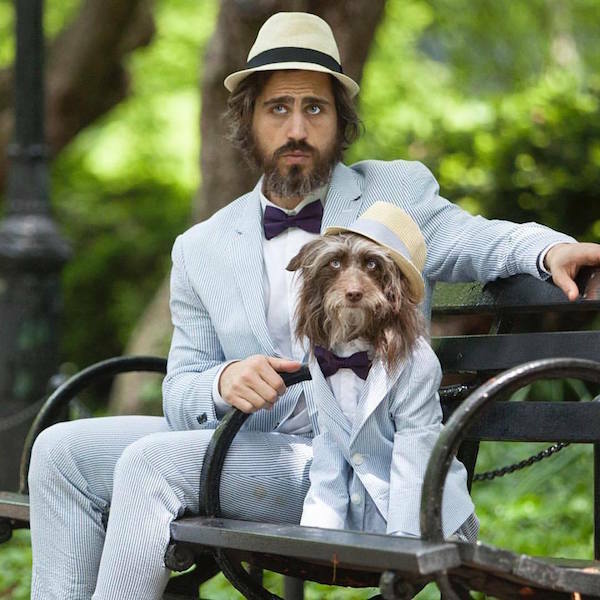 Here we have a classic weekend photograph of Topher and Rosenberg wearing their finest seersucker suits and fedoras while lounging around on a park bench, presumably after having waited two hours to be served lackluster eggs at some trendy brunch spot. Let us refrain from commenting on the chest hair situation and move soberly on. Someone’s been having fun with their spiralizer and the last of the late-summer zucchinis! 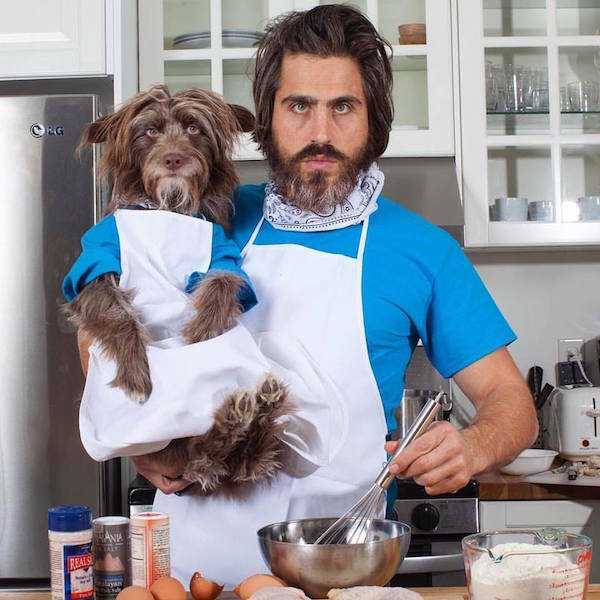 A pedant might note that there is no way those pancakes are not going to contain at least some doggie and human hair. 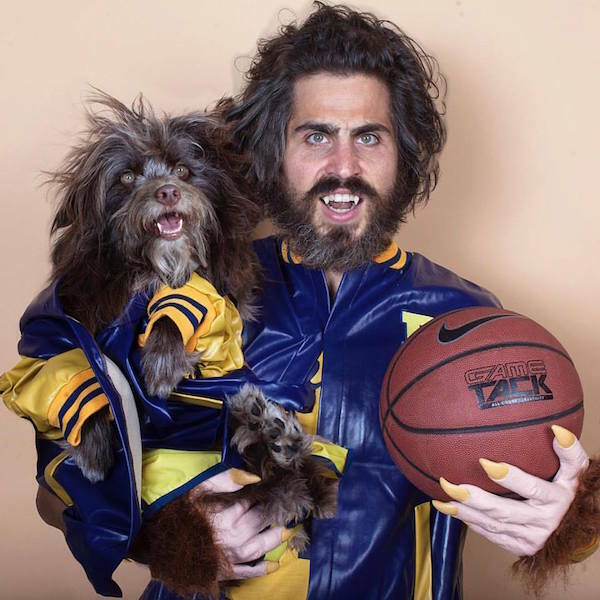 A bearded man and a dog dressed up as the cult ’80s movie character Teen Wolf? Okay, this one gets a pass. Check out more of Topher and Rosenberg’s looks over at their Facebook and Instagram pages. 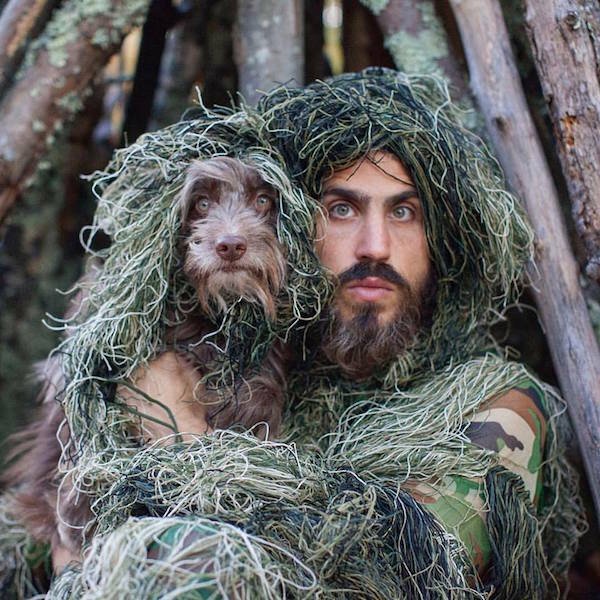 The post A Bearded Hipster and His Aussiedoodle Dress Alike for the Internet, and We Love It appeared first on Dogster.